1. How great is this Jonathan Adler Charade Heart Vase? love it. no pun intended. 2. This Heart Hook Pillow is not just for the Valentine's Day! 3. I couldn't help but add one of our very own Ampersand Prints in here. Besides shameless self-promo, I truly think it would be such a perfect gift for (or from) your sweetheart (we have other options than neon pink) ! 4. 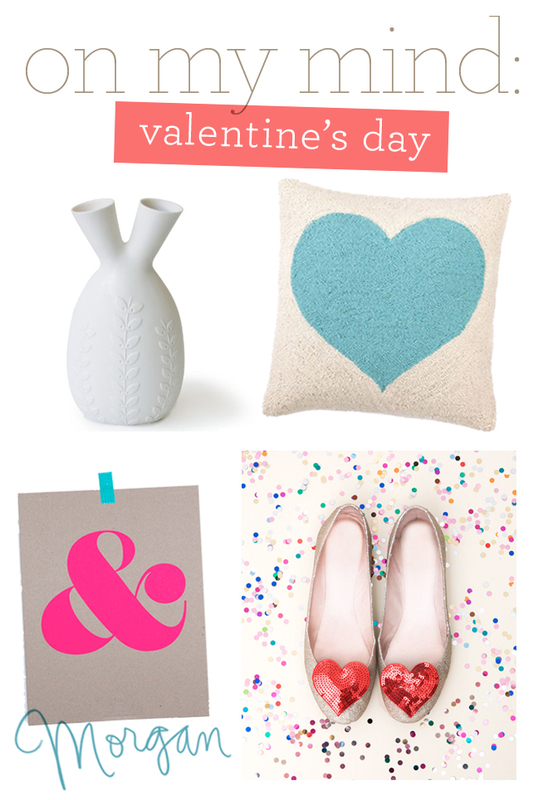 And of course, I can hardly picture Valentine's Day without thinking of the adorable Shop Ban.do! Their famous accessories couldn't be more perfect for this holiday. Shown here: heart shoe clips.